Moon Duo make their highly anticipated return to Merseyside, Getintothis’ Peter Guy readies himself to get lost down the sonic vortex. San Francisco’s Moon Duo are to play Liverpool’s District on February 2, 2018. The band, who released their fourth album Occult Architecture in two volumes earlier this year, make their latest Merseyside live offering since their Kazimier gig in 2015. Moon Duo, formed in 2009 by Sanae Yamada and Erik Johnson (Wooden Shjips), marry guitar, keys, percussion and vocals to create a primordial and disorienting sonic stew. Inspired initially by the legendary duo of John Coltrane and Rashied Ali, Moon Duo count the likes of Silver Apples, Royal Trux, Suicide and Cluster as touchstones. Written and recorded in their hometown of Portland, Oregon, the two-part Occult Architecture epic reflects the hidden energies of rain clouds and sunshine of Northwest forests along with the esoteric literature of Mary Anne Atwood, Aleister Crowley, and Manly P. Hall. 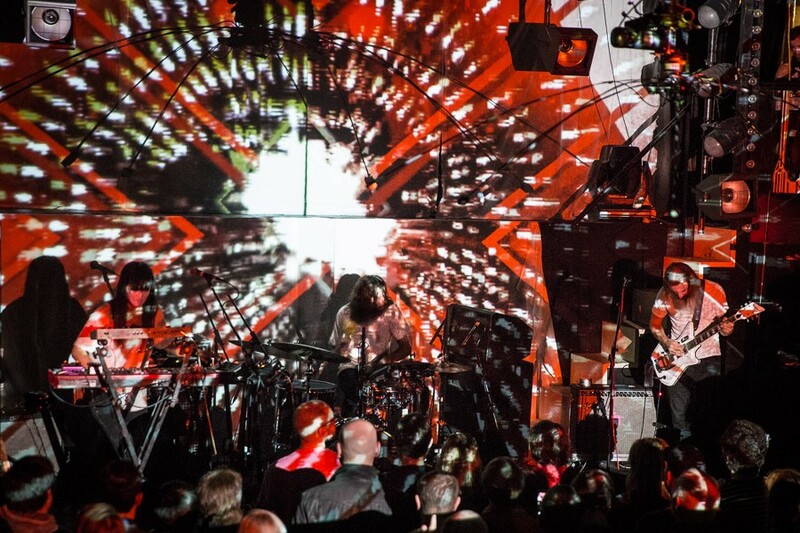 Moon Duo have an established history with Liverpool having played Liverpool International Festival of Psychedelia in 2013 and two Kazimier shows including a legendary outing with Hookworms in 2012.